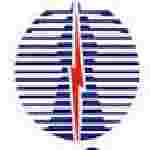 PGCIL Assistant recruitment 2016-17 notification apply for 11 posts : Power Grid Corporation of India limited (PGCIL) welcomes application for the position of 11 Assistant and diploma trainee vacancies on contractual basis.Candidates who completed their B.Com., diploma is a good opportunity.The individuals who are the occupation seekers searching for govt employments in India this is the best chance to apply. Competitors read the official notification then read all the guidelines and miners precisely then apply before the last date online application got. All the interested and eligible candidates can apply online before 15th July 2016. Candidates Age Limit: The age of the candidate is 28 years. The age of the applicant should be as on 15th July 2016. Academic qualification details: Candidates should have B.Com. with 1st division for un- reserved categories candidates / other backward class categories candidates and pass marks for schedule caste categories candidates (SC0 / schedule tribe categories candidates (ST) / person with disability categories candidates. Candidates Age Limit: The age of the candidate is 27 years. The age of the applicant should be as on 15th July 2016. Academic qualification details: Candidates should have diploma in electrical engineering from a recognized technical board / institute with not less than 70% marks for un – reserved categories candidates and pass marks for schedule caste categories candidates. Details of Fee particulars: All the interested and eligible candidates are need to pay application fee Rs 2000/- for Assistant and Rs 300/- for Diploma trainee through the Challan generated at their applicant login at POWERGRID official website. Schedule caste categories candidates (SC) / schedule tribe categories candidates (ST) / person with disabilities categories candidates (PWD) / EX-SM categories candidates are exempted from application fee. Official website: All the interested and eligible candidates can apply online through official website of Power Grid Corporation of India limited (PGCIL) www.pgcilgridindia.com from 25th June 2016 to 15th July 2016. Important Dates: All the interested and eligible candidates can apply online before 15th July 2016.